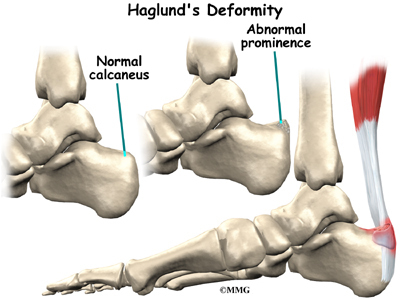 Seek professional opinion and treatment about your Haglund’s Deformity today. Experienced Foot Specialist with most advanced treatment. Call us +65 97731458 to schedule for an appointment. Haglund’s deformity is often called “pump bump” because the rigid backs of pump-style shoes can create pressure that aggravates the enlargement when walking. After evaluating the patient’s symptoms, the foot and ankle surgeon will examine the foot. In addition, x-rays will be requested to help the surgeon evaluate the structure of the heel bone. Removal of the problem: Walking without shoes takes the pressure completely off the affected area. Physical therapy. A physical therapist can help identify biomechanical abnormalities that may be contributing to inflammation and recommend appropriate strengthening and stretching exercises to help decrease discomfort and prevent the need for surgery. If non-surgical treatment fails to provide adequate pain relief, surgery may be needed. surgical treatment: Debridement of affected tendon and excision of retrocalcaneal bursa and haglund deformity. A central approach facilitates such debridement but necessitates detachment of 50% of the tendo achilies from calcaneus which is usually sutered back using bone anchors. In severe cases after debridement of substantial portion of the tendo achilies, augmentation may be done with the transfer of the flexor hallusis longus muscle.